Made to Measure Curtains and Blinds Oxshott, Surrey. Curtain Creation would love to help make your home even brighter with our range of made to measure curtains and selection of blinds. Our range of tailor made custom curtains and window blinds just for you. 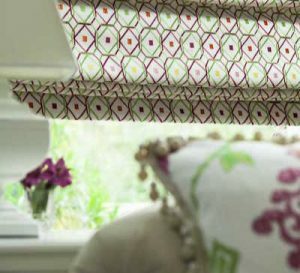 Are you looking for a made to measure curtains or window blind company in Oxshott, Surrey? Curtain Creation are the first choice for many homes where a bespoke, professional service is required. With such a vast range of patterns, fabrics, colours, accessories and styles to select from it can be hard to know what is best to compliment the rooms in your home and that is where Curtain Creation come in! Our free home appointment service is designed to help you find the right choices. Whether it’s made to measure blackout curtains, patterned curtains or thermal lined or insulated curtains you are bound to find the right ones for you! We will work with you until you are 100% happy with your choice of curtain material, colour or pattern. Our goal is to help you choose from our range of products that will compliment your home and make your curtains and soft furnishings just as a much a feature as the furniture and decor! How to choose the right curtains for your rooms. Ready-made curtains off the shelf often limit your options both in terms of pattern and style and quite often do not add to the character of the room but merely serve a purpose. 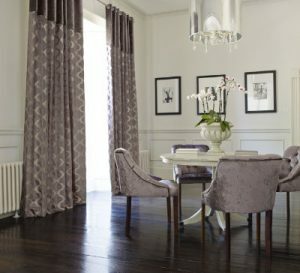 At Curtain Creation in Oxshott, Surrey we have over 30 years experience and understand the unique and distinctive look you want to achieve. We can help with the different styles such as the pencil finish, tailored curtains, cottage pleats or tie tips. We can also fit valance tops or pelmets which make a great feature to compliment your curtains. We don’t just do curtains in Oxshott – we do window blinds as well. You can choose to have these fitted in any room instead of curtains. Booking an appointment for us to visit your home in Oxshott to discuss made to measure curtains or window blinds is very simple. Just call us on 020 8669 7243.